I'm working on bringing one of my favorite decks to life in D&D. 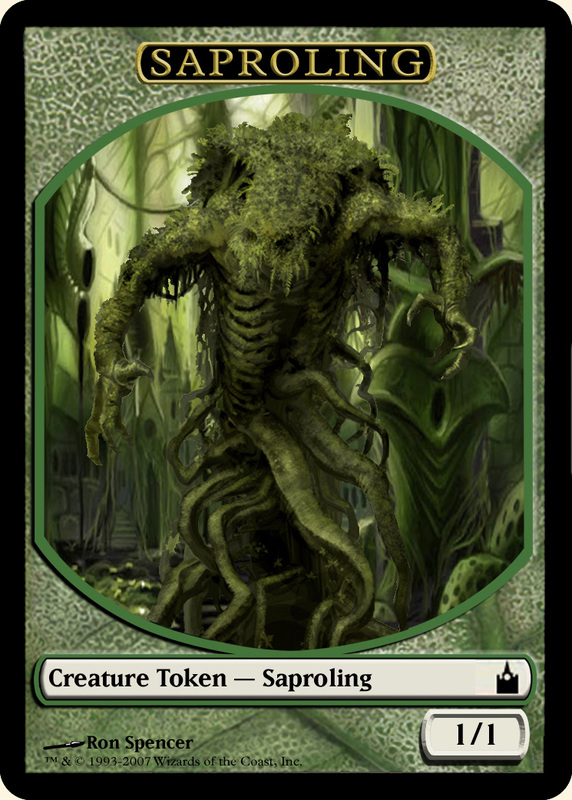 It revolves around the cards The Mycoloth, Doubling Season, and producing Saprolings. The cards are below. Anyways, here is my attempted homebrew of The Mycoloth. I'll add saprolings and some Thallids later. Tons of fun! I assume they are going to be in quite the wooded area for some time, haha. Maybe even the rest of their lives, haha or muwahahaha rather. Also, the Artifact is going to be an Earth based artifact weapon with a passive effect that doubles things, so that will be the "Legendary" ability of the weapon they seek is Doubling Season....and it happens to be surrounded and at the epicenter of one of the largest Mycoloth Spore gardens in the Swamp of Oblivion. Love the idea. Will have to give it a closer read when I get a chance. I was thinking about stating up a bunch of older treefolk, thalids, and saprolings...after the current projects, I've got going on.